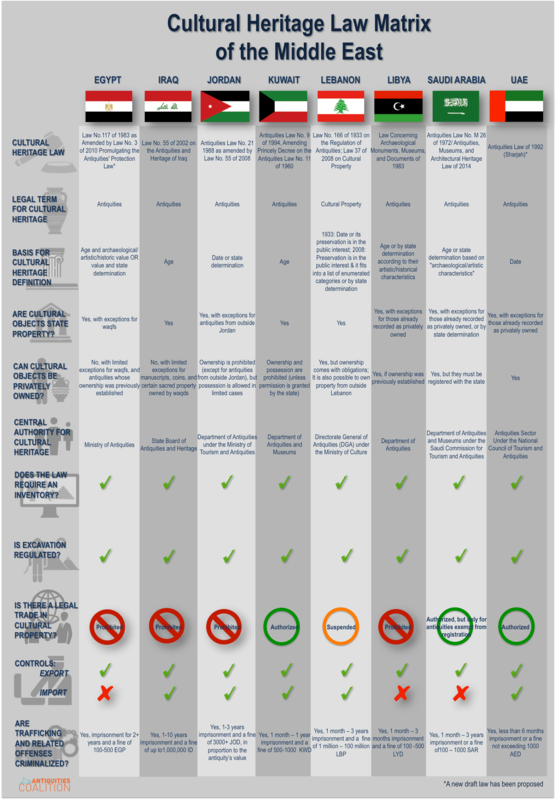 Our infographics summarize the issues and define key terms in a way that reaches a wide audience. 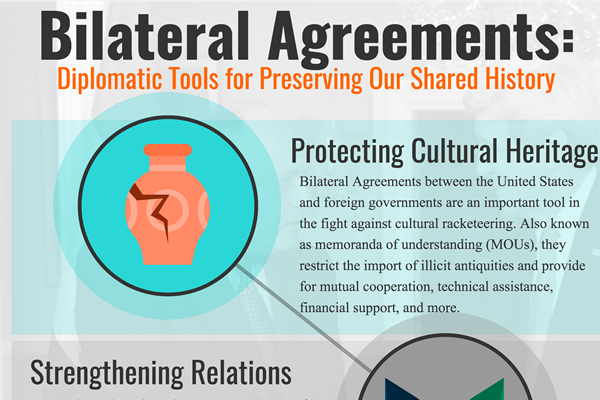 Bilateral agreements (Memorandums of Understanding/ MOUs) between the United States and foreign governments are instrumental in combating cultural racketeering, urging mutual cooperation, and providing technical assistance, financial support and more. 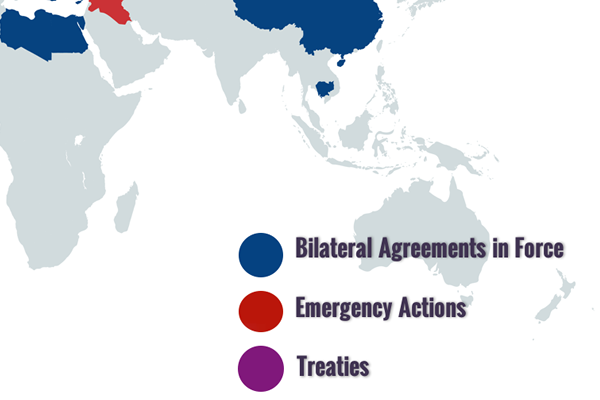 The United States remains the world’s largest single market for arts and antiquities— 29.5% of the global total. It also remains highly unregulated — thus dangerously susceptible to trafficking, money laundering, and even terrorist financing. 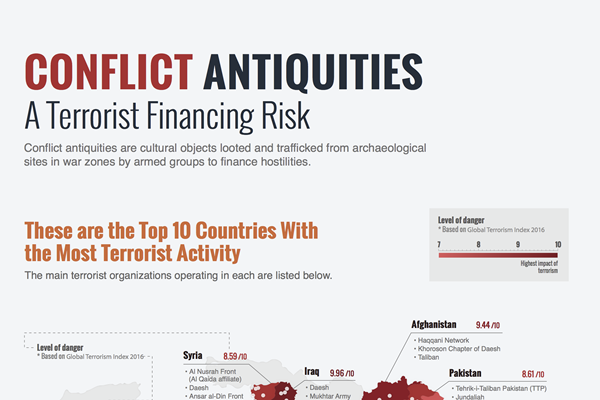 The money made from the sale of looted antiquities can fund a terror organization or terror attack 10 times over, which doesn’t begin to convey the cost of damage done to the history, people, and culture of the looted areas. To learn more, read our blog post here. 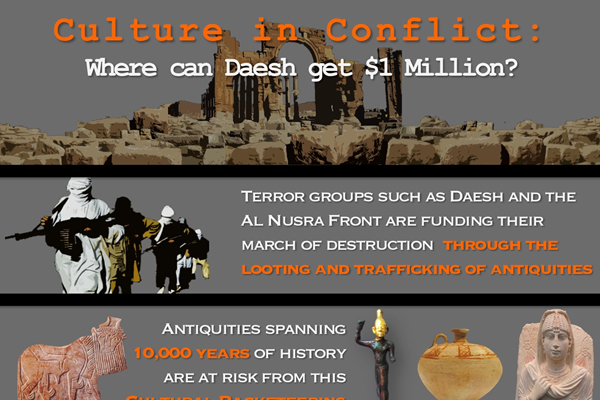 Culture In Conflict: Where Can Daesh Get $1 Million? Terror groups such as Daesh/ISIS are funding their destruction through the looting and trafficking of antiquities — and fetching a high price for them. To learn more about Where Daesh Can Get $1 Million read Katie A. Paul’s blog post. 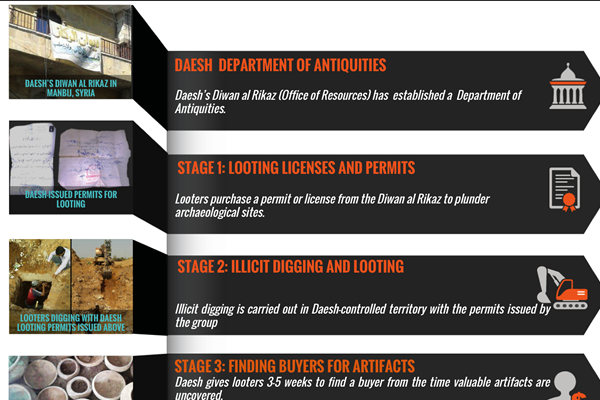 Daesh has created its own Department of Antiquities within the Diwan Al Rikaz (Office of Resources), and uses it to distribute permits for excavation and looting in lands they control. 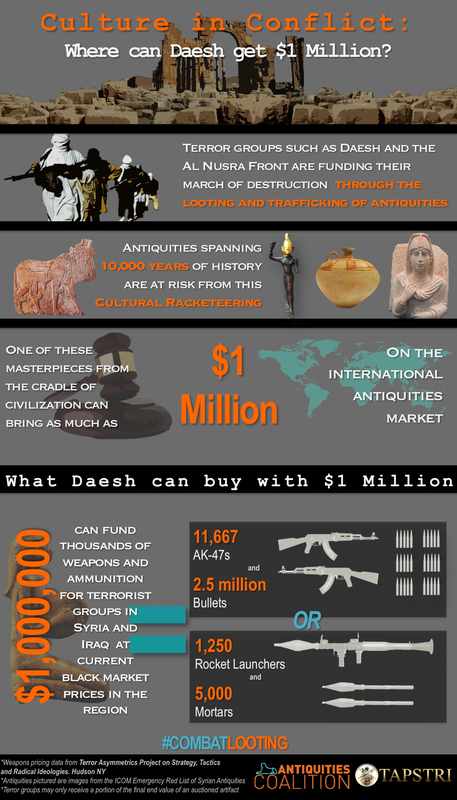 To learn more about how How Daesh Turns Illicit Digs Into Dollars read Katie A. Paul’s blog post. 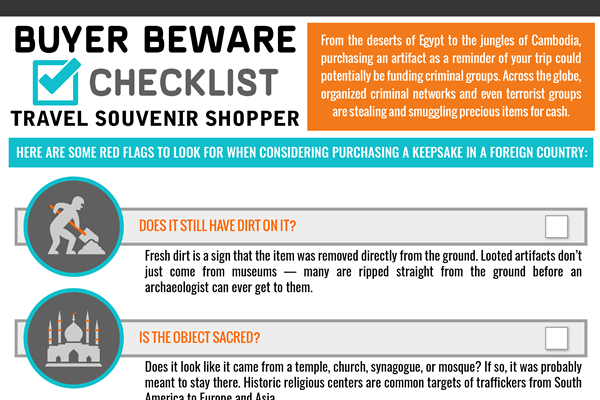 Looted antiquities don’t always end up on the high-end art market—sometimes they are peddled to tourists looking to bring home a souvenir. 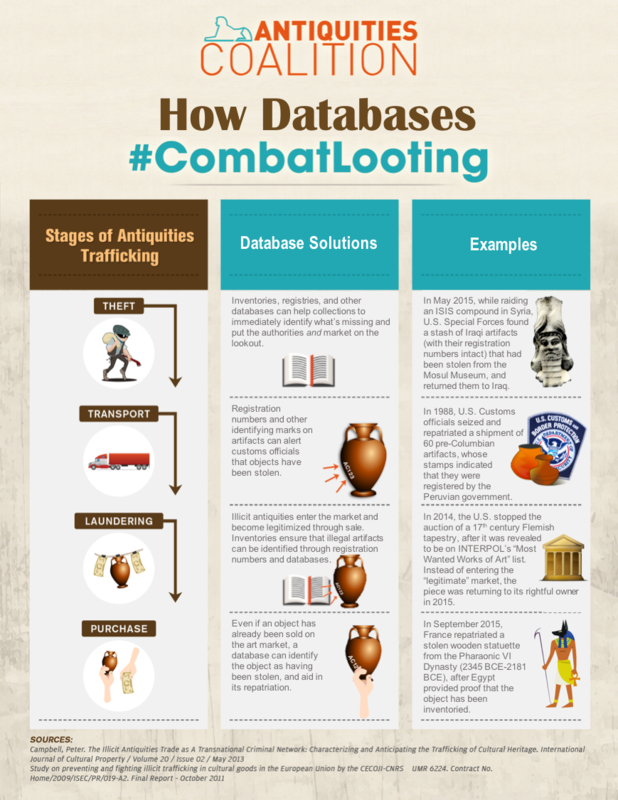 Databases hold the key to combat all stages of antiquities looting and trafficking. 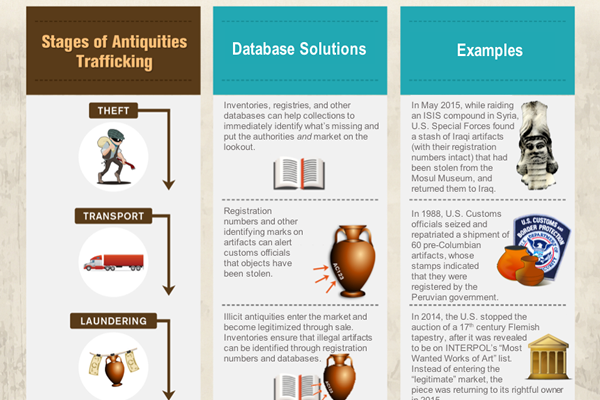 These include theft, transport, laundering, and the final sale of looted works. 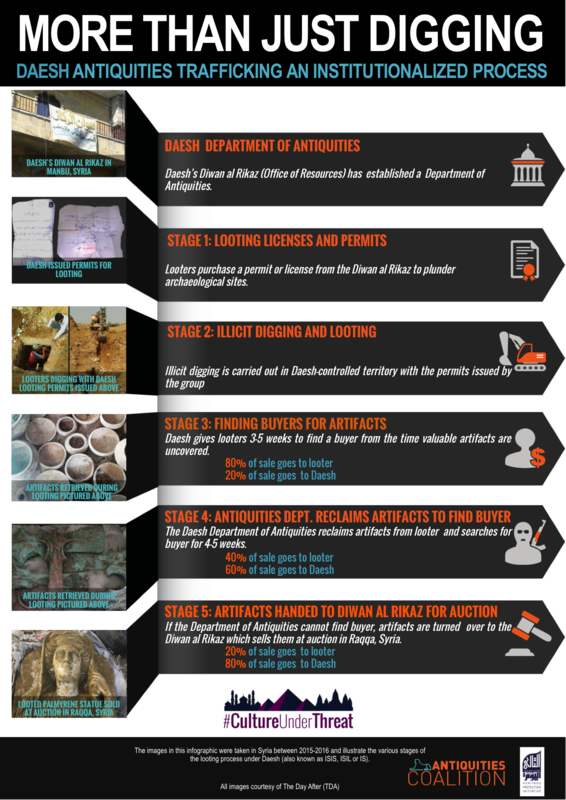 Databases give authorities a way to identify pieces, so they can be on the lookout for the looted antiquities, eliminating the payout for looters. The Antiquities Coalition is proud to be a part of the Digital Library of the Middle East, for more information on this project, visit their website. Egypt is one of the most archaeologically and historically rich nations in the world, and it relies heavily on tourism to boost their gross domestic product (GDP). Tourism in Egypt has dropped to 6.7% of GDP, while looting has increased 500-1000%, costing the Egyptian government up to 3 billion dollars. 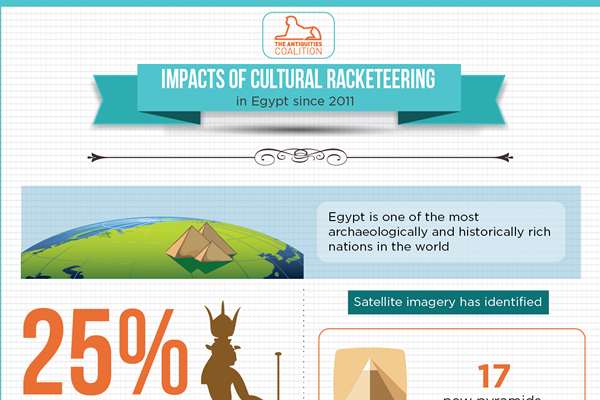 Antiquities Coalition Fellow, Katie A. Paul, has done significant research on cultural racketeering in Egypt, read more about her work here. 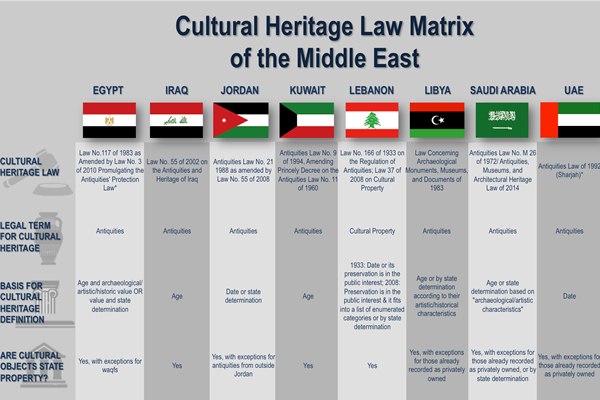 Cultural heritage law can vary country by country. 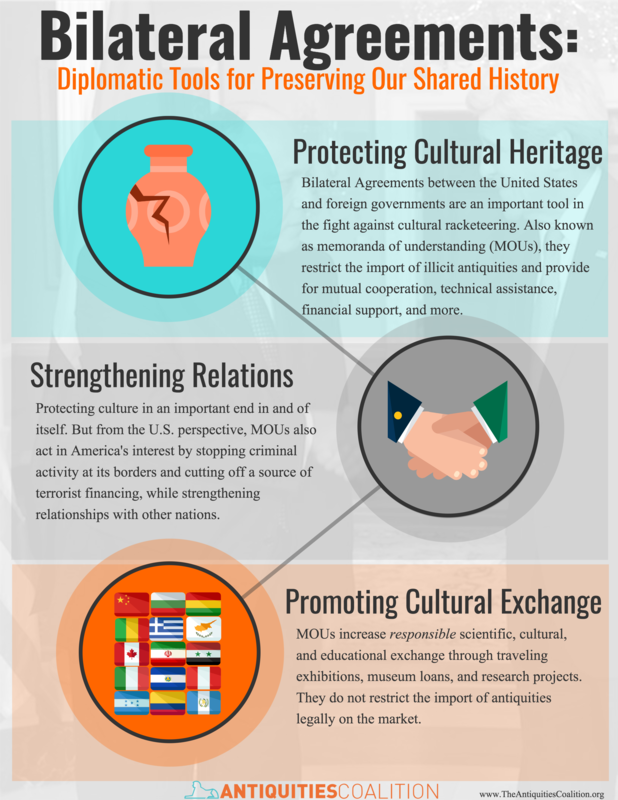 Cultural racketeering is especially prominent in poor countries or countries marred by conflict. 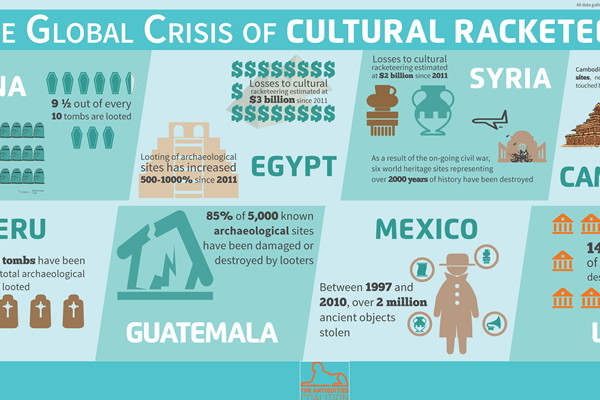 The cost of trafficking looted works is not only monetary; it is felt by the home country and by all of us as a destruction of our shared heritage.